SURIGAO CITY, Surigao del Norte, Feb. 24 (PIA) - About 24,000 members and pensioners of the Social Security System (SSS) here may soon avail themselves of three different types of calamity relief assistance after a 6.7-magnitude earthquake hit the city last Feb 10. “The Social Security Commission approved yesterday the grant of the calamity relief assistance package for our members and pensioners in Surigao. We sincerely hope that the special programs would give them better opportunities to rebuild their damaged homes and to acquire their basic necessities,” SSS President and Chief Executive Officer Emmanuel F. Dooc said. Dooc added that SSS will announce acceptance of applications to the calamity relief assistance package as soon as the IT system requirements and other administrative arrangements are done. The calamity loan assistance is a new and separate loan window from the regular salary loan where members are allowed to borrow up to P16,000 if they are paying contributions based on the maximum monthly salary credit (MSC). “Similar to salary loans, calamity loans are payable in two years in equal monthly installments with an annual interest rate of 10 percent and one percent monthly penalty for late payments. To provide more assistance, we waived the one percent service fee for calamity loan applicants,” Dooc explained. To qualify for SSS calamity loans, members should have a home address or property in the covered areas and a minimum of 36 monthly contributions, six of which should be paid within the 12-month period preceding the date of application. However, members who availed the SSS Loan Restructuring Program and those with final benefit claims, such as for total permanent disability and retirement, are excluded from the program. Meanwhile, members with damaged homes can also avail cash assistance through Direct House Repair and Improvement Loan Program, with reduced interest rate of six percent per annum and waived processing fee. “Member-applicant must not more than 60 years old and with at least 24 monthly contributions, in which three contributions are within the last 12-month period prior to the month of filing. 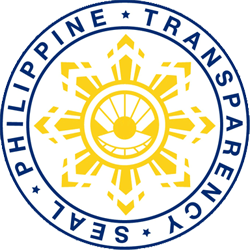 They can borrow for a maximum of P1 million pesos with an interest rate of six percent per annum fixed for 15 years. However, the interest rate is subject for repricing if the repayment term has exceeded 15 years,” Dooc explained. As of Feb. 20, the National Disaster Risk Reduction and Management Council (NDRRMC) recorded over 6,000 damaged houses in the provinces in Surigao del Norte— 380 of which were totally damaged while 5,703 were partially damaged. For applicants under the advance three-month pension whose present address is different from the address in the SSS database will have to submit a barangay certification to prove that they reside in a declared calamity area. For more information, members and pensioners can visit the nearest SSS branch, contact the SSS Call Center hotline at 920-6446 to 55, or send an email to member_relations@sss.gov.ph. 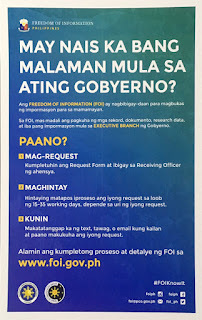 The application forms are downloadable from the SSS website at www.sss.gov.ph.